Explanation: Moon watchers blessed with clear skies over the Americas, Europe, Africa and western Asia enjoyed a total lunar eclipse this week. 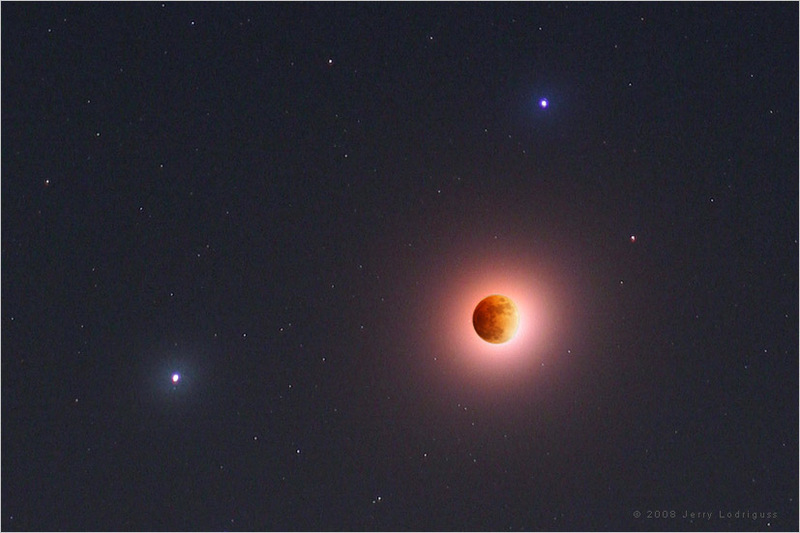 Catching eclipsed moonlight, astroimager Jerry Lodriguss offers this view of the inspiring celestial event with the shadowed Moon accompanied by wandering planet Saturn at the left, and bright Regulus, alpha star of the constellation Leo, above. 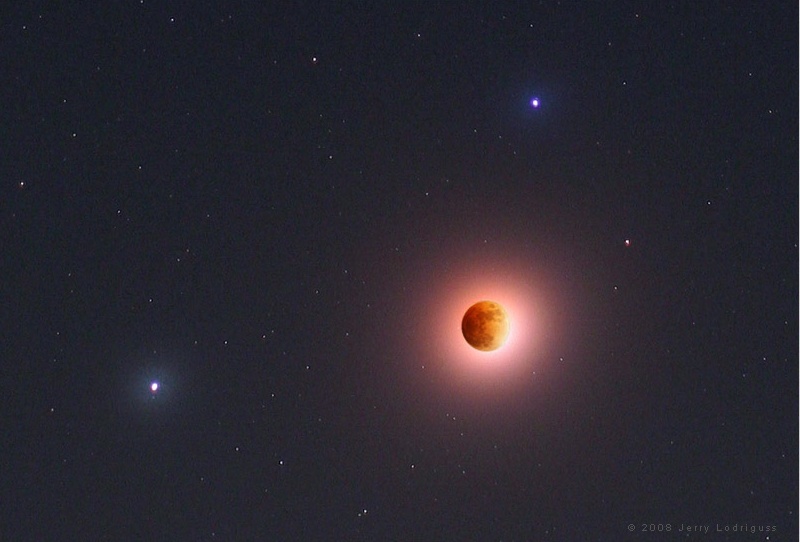 The engaging composite picture was made by combining a filtered, telephoto image of the Moon and surrounding starfield with a telescopic exposure. The combination dramatizes the reddened moonlight while clearly showing the variation of brightness and color in Earth's not-so-dark shadow across the lunar surface.